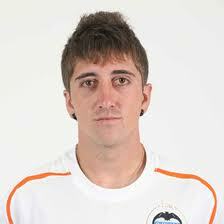 Liverpool are reportedly set to make a move for Valencia winger Pablo Hernandez. The Spaniard is said to be frustrated at the lack of first team opportunities on offer with Los Che and is now looking elsewhere for more regular football. According to The Mirror, this has alerted Liverpool to his availability and Transfer Tavern now reports the Anfield club have made on 'official enquiry'. Hernandez is the latest in a long line of attacking players to have been linked with with a January move to Liverpool as the Reds look to increase their goalscoring options. Aston Villa winger Ashley Young is reportedly on the Liverpool radar, as is Manchester City's Shaun Wright-Phillips as speculation mounts that the Reds will spend big in the transfer window. However, Liverpool director of football strategy Damien Comolli has moved to calm rumours that there will be plenty of numerous new arrivals at Anfield by the end of the month. "I will stick to what I said from the beginning: if [Liverpool boss] Kenny Dalglish is not happy with a player we think could make the team better then it's always down to the manager. That hasn't changed," Comolli said at a Liverpool press conference unveiling Dalglish. "We didn't even have chance to talk about the transfer window yet. We have been working on it with Roy [Hodgson] and the owners but I need to update Kenny on what's going on. "Will there be some activity? I don't know. I still don't know. It's a very complicated market in January."